The most convenient, sanitary and stylish hands-free waste carrier for dogs on the go! Port-A-Poo dog waste carrier product is a new hands free sanitary solution to carrying your dogs waste while on a walk. Simply connect it to your leash, flip open the latch and lay your used poop bag across the teeth and snap it shut. No more holding your dogs waste while on a walk. 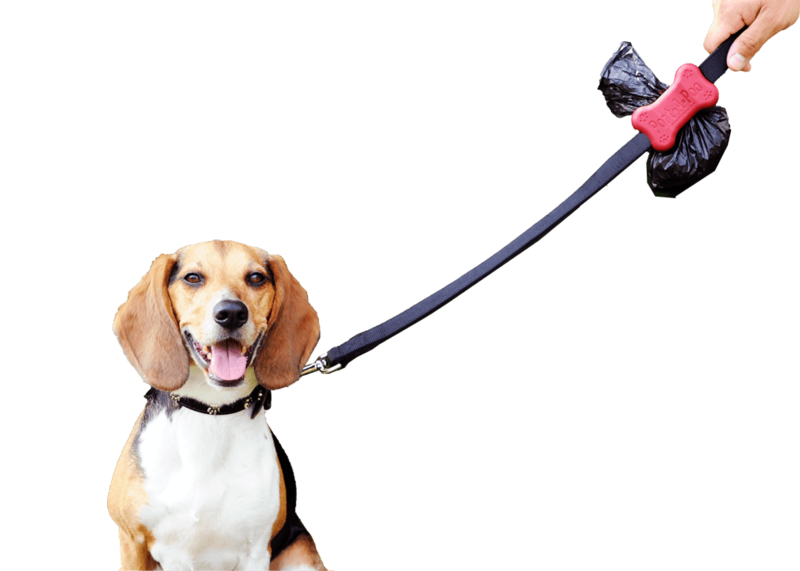 The Port-A-Poo dog waste carrier product easily and securely attaches to almost any leash. Don't get left holding the bag... use your new Port-A-Poo dog waste carrier product today! !